Discussion in 'News' started by ASRock System, Feb 23, 2018. There are so many frieds discussed about AMD solution on STX form factor. Let me show off one board I found on my boss's table. We did a very very quick research during CNY. 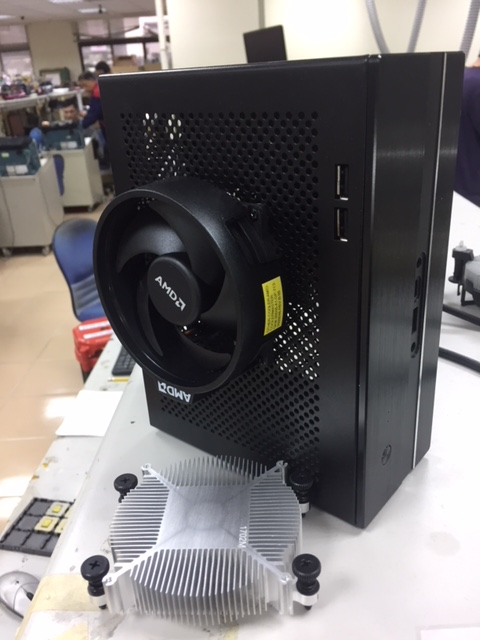 AMD 2200G box fan is so high that can't be installed into our chassis. thewizzard1, SaperPL, Farsx and 30 others like this. I need this too, pweeeeeeeeeeez ! Oh man, STX + 65W APUs are a match made in SFF heaven. All we need is a reliable supplier of DDR4-3200 CAS 14 SO-DIMMs now. Boil, Obelisk, CC Ricers and 5 others like this. I would build my on the go workstation with one of these. NinoPecorino, talkion, VegetableStu and 1 other person like this. 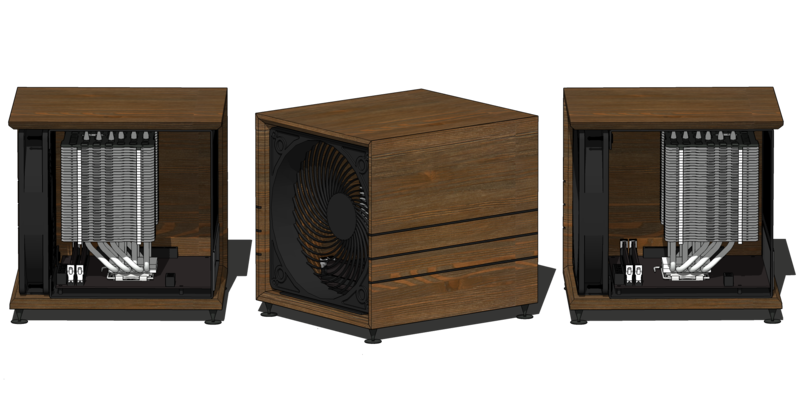 I'd love to revive this design with a smaller motherboard and front fan. Boil, SaperPL, el01 and 6 others like this. ASRock is again, breaking the limits and doing something that nobody does. I would happily keep my H110M-STX as a reminder and buy this thing and some Ryzen CPU because oh my god, AM4 is my dream. EDIT: Also, I'm well aware there's probably an NDA to any AM4 STX board developments, but is there a projected release date? WadeAK78 and AleksandarK like this. Wow, that would be great. I was just pricing out a Ryzen APU system, but if there is even a slight chance of this happening, I'm holding out. @ASRock System it seems there is some demand for AM4 STX boards..
talkion, darksidecookie, AleksandarK and 3 others like this. STX AM4 mobo would be definitely the king of APU setup. talkion, owliwar, WadeAK78 and 2 others like this. Just want to say that I am greatful you guys made the Deskmini GTX and seem to want to continue it. I hope we can see some iteration with AMD but regardless thanks for your work in the SFF field! Oh, wow, yes please ASRock! You guys have lots of fun at your job don't you? talkion and VegetableStu like this. I'd buy one. 1 of the PCs I manage is a deskmini 110 and it's been a great little box. @ASRock System Please give me an STX AM4 board. Dont care if its mini or micro, ill make it work. Can I just mark how its kind of funny that the rep here for Asrock made a rumor-flared post about Asrock lmao. Reiferic, Biowarejak, talkion and 4 others like this. "Let's put something insane in a tiny form factor!". Everyone else: Who would want that? Is there market research to support it? Boil, Reiferic, el01 and 11 others like this. 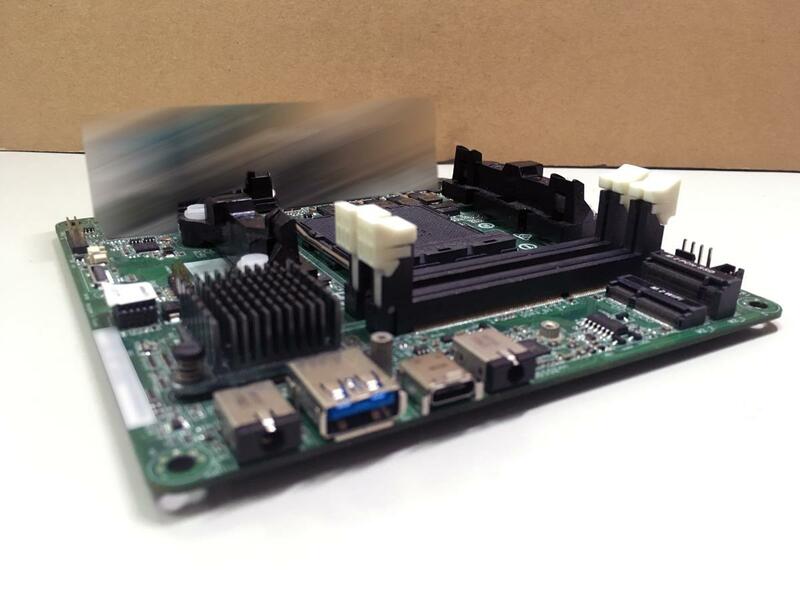 @ASRock System Any update on this very nice looking board?